how great is life when you have a whole day (weekend) celebrating scrapbooking? what a country! i hope to get several things posted today to share with the world how much i love this artistic expression of life. go here for a great kit to win this weekend in celebration of our art. 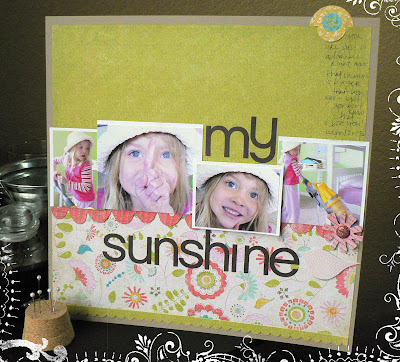 supplies: kraft cardstock:: stampin up. patterned paper:: crate paper. all die cuts and bird stamp:: crate paper. letter stickers:: basic grey. brush around photo:: rhonna farrer. all product available in a kit from work in progress.